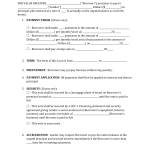 Download the Marriott credit card authorization form in a fillable Adobe PDF template to accept and charge a guest for a room, along with any additional services and fees, for stay at the hotel. 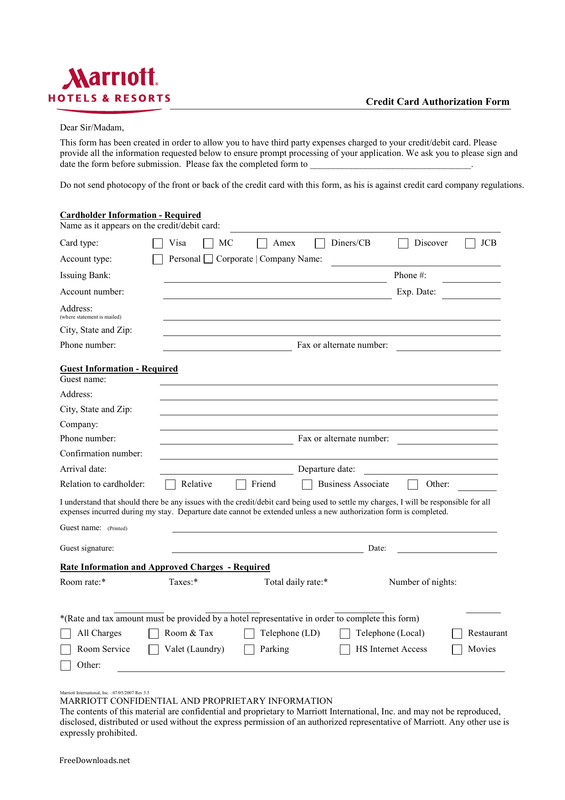 The form should be completed by the person authorized to use the card and can be sent via fax from another individual or company paying for the guest’s stay. Part 2 – Guest Information consisting of the Guest’s Name, Address, Company, Phone Number, Fax or Alternate, Confirmation Number, Arrival Date, Checkout Date, Relation of Guest to Cardholder, and the Guest’s Signature. Part 3 – Rate and Room Approved Charges including the Room Rate, Taxes, Total Daily Rate, and the Number of Nights. 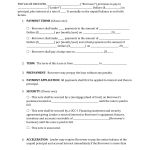 Below that the list of possible fees must be checked/unmarked for authorization. Part 4 – On the last page the Cardholder must sign the document and at their choice may give a maximum of what he/she will pay for all charges including the room, services, fees, and taxes.